So many people pass their 20s and 30s go through the same financial timeline. Graduate high school and go to college or get a job. Get a credit card or two or three. Buy a new car with a loan. Rack up lots of debt with a low income. 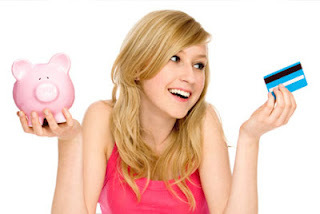 Have a financial epiphany, get rid of the debt, and be a more stable financial individual. Or, you might still be stuck in a financial hardship. What if you were to skip all the drama? Instead of incurring lots of debt, you get no debt. Maybe you get a mortgage someday or have a few student loans from college, but that’s it. On top of that, instead of just avoiding debt, what if you were to start saving and making more money even while you were a teenager? If you saved $20 a month from age 16 to 22, which is 7 years, without earning any kind of interest, you’d have $1,680. Instead of $1,000 to $20,000 or more in debt, you have $1,680 in savings. What if you invested that and earned a meager 5% return each year? You’d have almost $2,007. Make that 10% at a savings of $50 a month, and you’d have over $6,047. The point is starting early will put you far ahead of the average person. You could retire early, buy your dream home, or travel the world, even if you don’t make 6 figures a year. You won’t be wasting years of your life to debt. Being financially smart doesn’t mean you need to sacrifice everything fun and spend all your time working and learning about money. As a teenager, you can start small and avoid all the bad mistakes. Some kids like to say things like, “I need to learn from my own mistakes!” This is absurd! Why waste time and money when you can learn from someone else’s mistakes? To be financially smart, you need to learn how to manage your money. Learn how to follow a budget that allows you to take splurges now and then while still saving money. Understand the dangers of debt. Debt grows faster and faster the bigger it gets. Pay off all credit card balances in full each month and avoid spending money on interest, especially if you don’t have to. As a high school student, this is a perfect time to save. You aren’t working full time so you don’t have a lot to save, but you also don’t have much as far as expenses. Try to save as much of your part time income as possible. Work full time over the summer and save most of that too. Instead of using all that hard earned money to go to a fancy expensive college, get the same education at a state school and commute from home. If you work hard, get scholarships, and save your money, you could graduate debt-free possibly even with some savings. I was able to graduate from college debt-free with these techniques. Learn how to invest now instead of later. You don’t need to be a certain age to invest. If you’re under 18, ask your parents to set up a custodial account for you. Even if you don’t start buying stocks or other investments until a little later, read some books and educate yourself. The more you learn about investing, the more you’ll understand the benefits that come with it. You’ll see the potential and you will want to get started as soon as possible. The absolute best time to learn how to manage your money and invest is when you are as young as possible. Being a 40-year-old and learning proper financial management for the first time isn’t a bad thing. You’re still going to learn a lot, but you’ll get a lot more out of it if you start in your teen years. Sure, not gong to a fancy school will save you money, but they are worth it because they can give you the opportunity for better jobs.